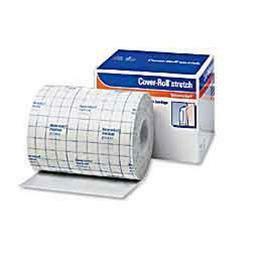 Cover-roll Stretch bandage, offers the convenience of single-sheet taping over dressings. Cut to size to secure virtually any dressing. Air & exudate permeable, hypoallergenic & translucent.